Hunting for the most popular GI Pipes Manufacturers in Mumbai? DHY Trading Corporation is the name that should always be on top of your mind. GI (Galvanized Iron) Pipes are covered by the layer of zinc to improve its strength and is mostly used in structural applications. You can avail GI pipes from us in different sizes, shapes, coatings and other configurations that meet your requirements. We have manufactured this in different diameters because every application has its own requirements. 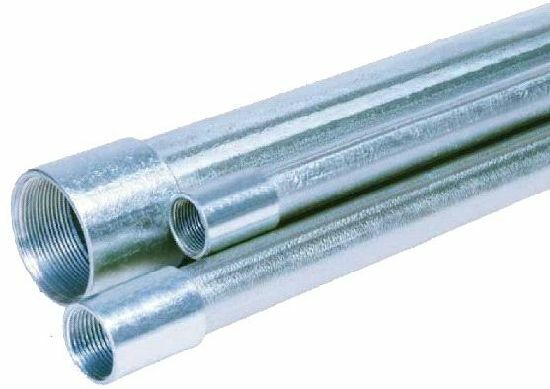 These are widely demanded in domestic as well as international market and, we as one of the prominent Galvanized Pipe Suppliers and Exporters, provide it everywhere. We have done the manufacturing, coating, finishing and testing of our Metal pipe, under the strict surveillance of our quality supervisors. Our offered range of Galvanized Iron Pipes is used in large construction projects and won't disappoint you in terms of quality. Due to galvanization, these pipes are able to meet quality standards and available at lower cost than any other metal pipe. Call us now or drop your email for further enquiry.